Here's a shocking fact: The iPhone makes up 76% of all new smartphones in Japan. Today, you can read this headline just about everywhere. A few years ago, all the headlines were telling us why the iPhone would fail in Japan. 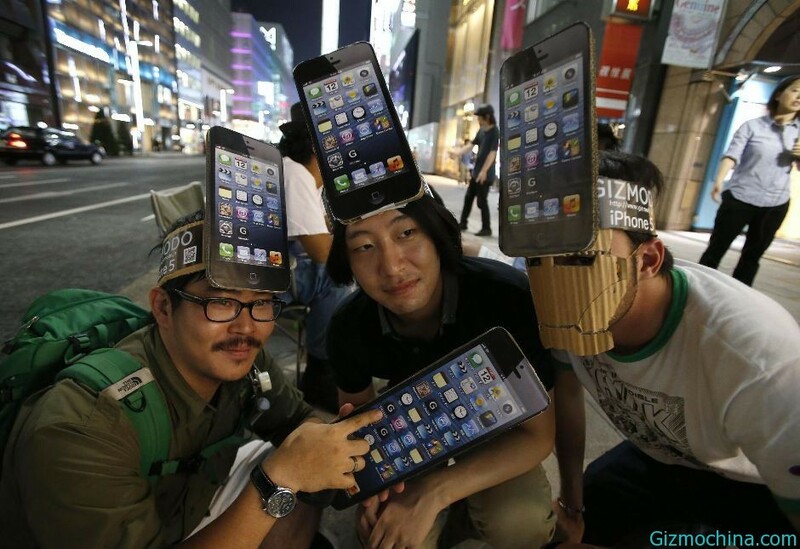 Shortly after the launch, the headlines were about why the iPhone failed in Japan. Now, less than a quarter of the population buys anything other than the iPhone. Is this the story of the greatest turn-around in history, or something more? Each item in his list was followed with the words, "will kill Apple's iPhone in Japan". That last one almost caused me to laugh out loud. You have to try to remember how different smartphones were before the iPhone became the new template. All Apple detractors universally doomed the iPhone to failure for its lack of a keyboard. Unbelievably, you can still hear echoes of this, but mostly from the Blackberry camp. At the time, the Japanese were considered xenophobic when it came to foreign tech companies. For other Japanese, tech experts, this list of failures included the high price, the lack of a video camera, and the lack of MMS for sharing pictures and videos. Essentially, all of the objections came down to the fact that the iPhone was different from the smartphone paradigm existing at that time. It was a new thing in almost every way and offered new ways of doing almost everything. The lack of an MMS service really highlighted just how different the iPhone was, and why so many people had such a hard time getting their head around the new paradigm. Before the iPhone came along, the only way people could send pictures and video clips shot with their camera-phone to their friends and family, was to pay the carriers ransom money for sharing those images and videos. I remember Sprints method of getting photos from your phone to your PC costed the user a nickel for every photo that was transferred from phone to PC. Using MMS service would cost you 50¢ to send, and another 50¢ when the person received it. The iPhone came along and crashed through the carrier's biggest scam since the text message. Apple included a full, email client that was free to use. Just like on a PC, one could now send pictures and video clips over email via the iPhone. It was absolutely free. You have to remember that carriers were also charging for gimped, email access on smartphones. Like a mad butcher, the iPhone made hamburger out of several of the carrier's fattest cash cows. That feat of commercial engineering still goes unthanked. All people could see is that the iPhone didn't have MMS. To this day, it escapes them that they were freed from the tyranny of the carriers. They simply couldn't imagine anyone being able to get around that, even after Apple did it. A manufactured triumph is a failure spun into a victory by rhetoric. A manufactured failure is a victory spun into a rhetorical failure. Apple's competitors have become experts at spinning rhetorical victories for themselves, and failures for Apple. Examples of this abound. One only need watch the commercials by Apple's rivals for a Master's level clinic on how this is done. The App Store boasts a million apps. Competitors have learned to make fun of the fact that iDevices have a million apps available to them, as if it was a liability rather than a benefit. The fact that the iPad is thin, light, and simple to use is spun into, the iPad is insubstantial and child-like, not to be taken seriously. The fact that so many people love iPhones and iPads so much, they will stand in long lines for the latest one, becomes, Apple customers are mindless iSheep who can't think for themselves. It is a bullying tactic learned on playgrounds all over the world. It is why Apple can sell more smartphones and tablets more profitably than anyone in the world, redefine mobile computing twice, in the space of about three years, and see their stock tank, and have more negative articles written about them then at any other time in their history. The anti-Apple, talking campaign has produced manufactured failure in the face of record sales and profits for the company. Tactically, it is a fine piece of work. Morally, if such a term can be used, it is repugnant! It also explains the early days of the iPhone in Japan. Remember all those stories about why it would fail, then shortly after, why it had failed? Those were excellent examples of manufactured failure. The truth is that the iPhone never failed in Japan, it was always a hit that just kept getting bigger. Like wartime propaganda, manufactured bad news about iPhone sales was used to demoralize opposition troops and investors. If you can convince them that the battle is already lost, they will quit fighting. These same detractors were pulling the same stunt for the iPhone launch in the US. When introducing the iPhone, Steve Jobs announced that Apple's goal was to sell 10 million iPhones in the first year. A skeptical tech press pretended to misunderstand the timeframe, spinning it as 10 million by the end of the calendar year. That would only give the iPhone about six months on the market. They took their manufactured goal as the truth, and declared the iPhone a failure. The iPhone actually surpassed Apple's stated sales goal after 12 months, but the press didn't want any part of that. During the first year of availability, the press spun every iPhone victory into a failure. They did this until the numbers were so overwhelming, they could no longer get away with it. A Million Units Expected at Launch… Hmm. That was a lie. Apple didn’t even have a million iPhones in stock over the first several days of the original launch, so it couldn’t have planned to sell a million iPhones on opening weekend even if it had a million customers to service. In reality, actual expectations were far lower, and no rivals were rejoicing about the iPhone’s big launch. Bloomber’s Connie Guglielmo had reported before the launch that “Apple may sell as many as 200,000 iPhones in the product’s first two days on the market this week and as many as 3 million in the second half of the year, according to the most optimistic analyst estimates.” Apple not only sold 270,000 in the first two days, but actually went on to sell nearly four million units by the end of 2007. The Journal’s widely publicized representation of the Japanese market cited an MM Research analyst as saying, “The iPhone is a difficult phone to use for the Japanese market because there are so many features it doesn’t have.” The article also insisted that “Japanese consumers have also shied away from the phone because of its high price,” but then related that the 16GB iPhone, selling for the equivalent of $320 US, is only $21 more than the $299 iPhone 3G here in the US. Is this WSJ article really worthy of being the seminal reporting work on the iPhone in Japan? The story even managed to downplay the iPhone App Store by dismissively saying it “hasn’t taken hold as much in Japan, where consumers tend to be more cautious about making purchases online.” Kane offered no factual basis for this claim either. There is much more, and I strongly encourage you to read the entire article. The Wall Street Journal's piece was fabricated almost entirely from one, questionable source, and became the echo-chamber through which the doom of the Japanese iPhone was proclaimed. The truth is, there was never a time when the iPhone was not doing well in Japan. The bit about the App Store is particularly ironic, as the most recent news tells us that the Japanese have now surpassed the US to become the #1 purchasers of apps from the App Store. BCN is a Japanese company that tracks consumer electronic device sales in Japan. It publishes data on a weekly basis and in its latest findings Apple’s iPhone 5s and 5c are in the first nine positions and 11 of the top 14. Remember the pattern. Create a rhetorical failure. Bolster that manufactured failure with questionable sources and facts. Stick with it until the truth becomes too obvious and embarrassing to be ignored. Then, acknowledge the truth, only after it can be marginalized with a new, rhetorical failure campaign. The lie of the iPhone failure in Japan lasted for more than a year, in the face of overwhelming success. The iPhones success was being marginalized even after it had captured over 70% of the Japanese market. Now, the success of the iPhone is being marginalized in a whole, new way. Instead of trying to perpetuate the lie that the iPhone cannot succeed in Japan, the new tactic is to undermine the importance of Japan as a smartphone market. With the new narrative, the US and Japan don't really matter, as they are no longer growth markets. They are saturated markets. Apple has already sold as many iPhones as they can in these markets. The markets that really matter are the developing nations, you know, the ones where the iPhone does not sell. Those are the places where the people cannot afford premium, consumer electronics. Apple is obviously doomed if they can't sell cheap phones that make no profit, into markets such as India and Latin America. In such places, it is all about Android and Windows Phone. Now, doesn't Apple look silly with all its useless marketshare in profitable markets like the US and Japan? ...And that's how the game is played. So far, I have focused on dispelling the myth that the iPhone ever failed in Japan. I have further explained how the competition uses manufactured failures to create a negative narrative that can be shifted to spin any good news from Apple into bad. What I have yet to do is explain how the iPhone actually conquered the Japanese market. Once we peel back the layers of misinformation, we can get a closer look at what was really going on in Japan. Expect part two of this piece in the next day or two.